Look Ma! No patterned paper! 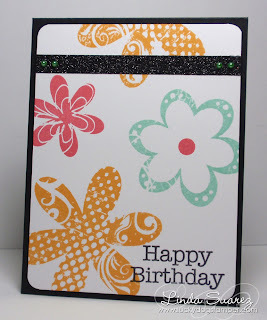 Today I used a Papertrey Ink stamp set that I've had a while but hadn't used yet - Frilly Flowers. 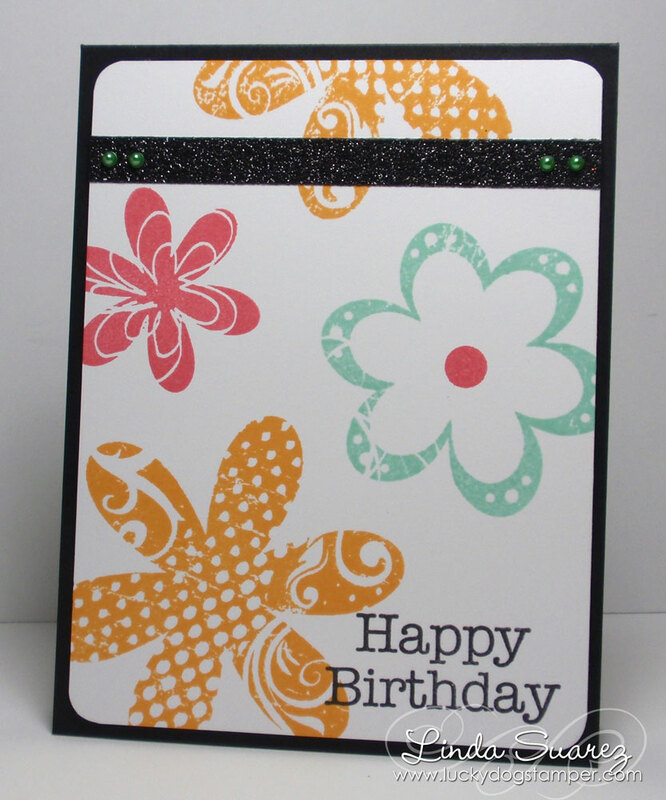 I paired this with Sketch #258 from Card Positioning Systems. What a fun and happy card! Love the bright colors. Have a wonderful weekend.